When the Boston architecture firm CBT set out to reimagine the Schrafft’s City Center office complex in Charlestown in 2014, it focused on the needs of the future workforce — the oldest of whom were still teenagers at the time. Members of Generation Z, born between roughly 1996 and 2010, are growing up in the era of crowdsourcing and interactive video games like Minecraft, said CBT principal Haril Pandya. These kinds of collaborations are shaping the workers of tomorrow, who will expect to have similar types of cross-pollination in their professional lives, Pandya said. For the revamped Schrafft’s center, a former candy factory, that means a lobby with spaces that “foster and nurture those interactions.” When completed this summer, the entryway will be a destination, with a three-story atrium, a coffee bar, and a lounge with an oversized gas fireplace. The space will also pay homage to the sweets once made there, with faceted windows meant to evoke a candy wrapper and chocolate tones on the concrete floor with bright, glossy pops of red and oranges — a theme Pandya calls “confectionary contemporary.” Old Schrafft’s ads and photos, including factory workers in hairnets, have been turned into wallpaper for the lobby. 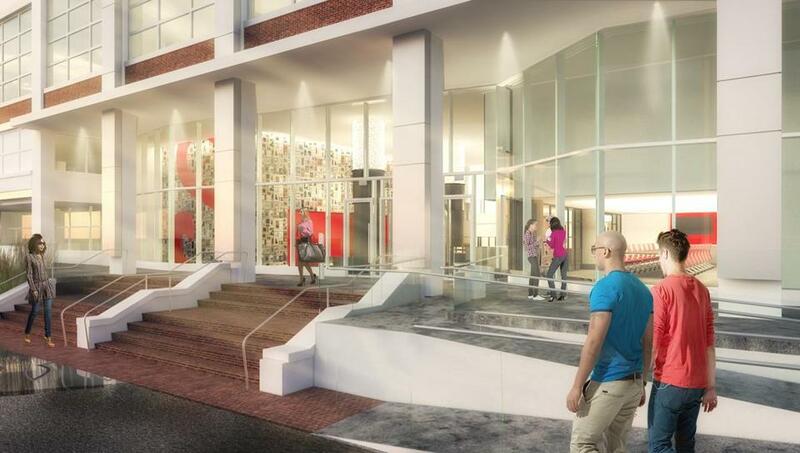 It will be a stark contrast to the building’s current drab hotel vibe, with mismatched carpets and granite kiosks. 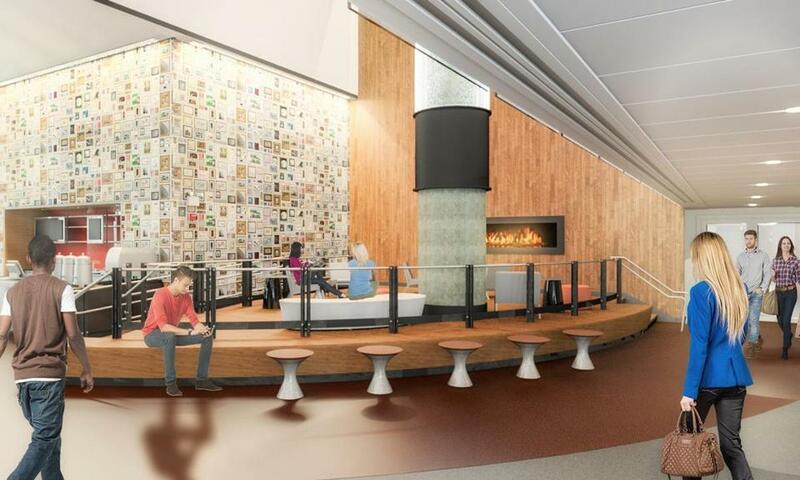 In all, CBT is reimagining about 10,000 square feet of the main building’s 600,000 square-foot space, including the cafeteria and other common areas, along with landscaping and a walkway to the Mystic River. The complex is currently home to about 30 tenants and 3,500 employees, a number that’s expected to stay level even after Partners HealthCare decamps for Assembly Row in July and Boston Medical Center and several other new tenants move in. The workforce of tomorrow will be fine without a dedicated desk or cubicle, by the way, Pandya said, because they’re comfortable plugging in their laptops anywhere. As for photos and other mementos that workers put up to personalize their workspace, Gen Z has no need for those either. All that stuff is in their phones.